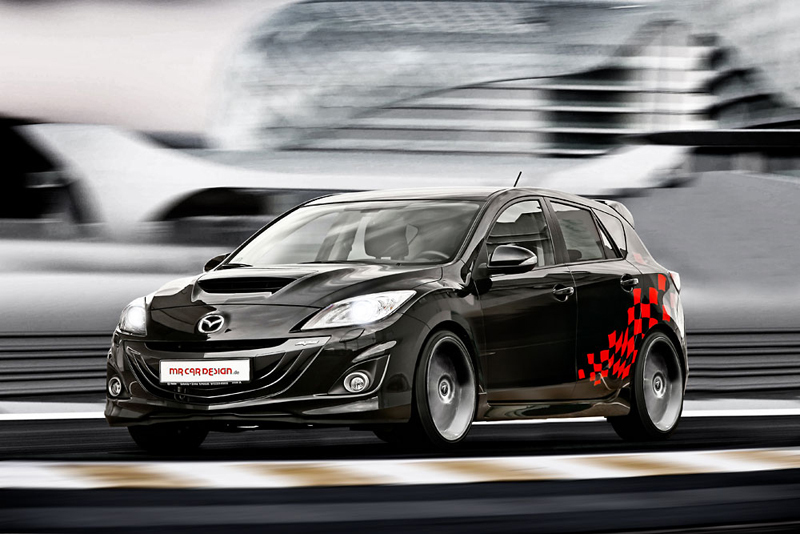 The Mazdaspeed3 or Mazda MPS as it’s referred to in Europe is a fun, driver-oriented car packed with a turbo-four engine. And while that sounds like a fun and exciting package, the team at MR Car Design believed that it could benefit from some simple upgrades with their new Mazda MPS tuning program. The 2.3-liter direct-injection turbocharged four-cylinder engine was given a healthy dose of power that improves the excitement of the hot hatch without taking away from the overall driving experience. The Mazda MPS tuning program from MR Car Design beings with a software upgrade installed by using a dynomater and other testing systems to provide a reliable and flat power curve and results in a strong 310 horsepower output. If customers want even more power, they can opt for a downpipe with or without a catalytic converter and corresponding cat-back exhaust system along with a Forge intercooler and piping. MR Car Design then focused on the chassis of the hot hatch and improving its handling dynamics even further. 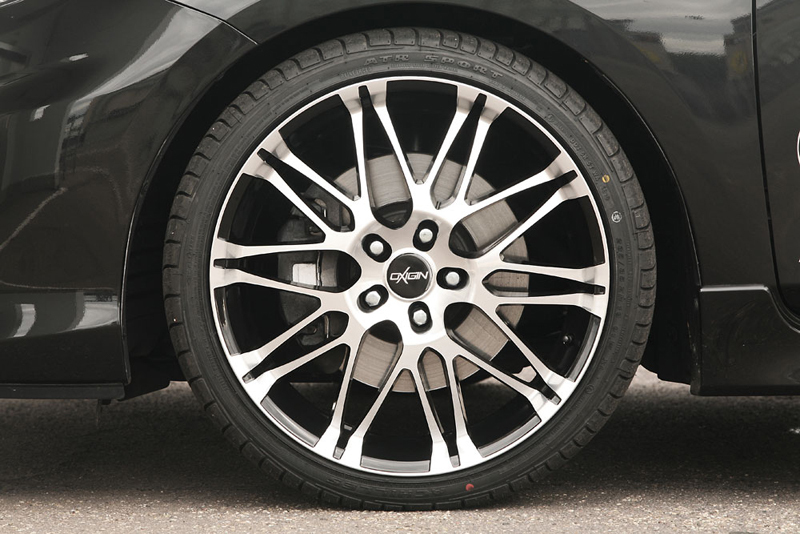 The German company was able to install a new KW coilover suspension to lower the center of gravity and sharpen handling, while the factory wheels were replaced with new Oxigin one-piece wheels in a 8.5 x 19 front and rear setup. 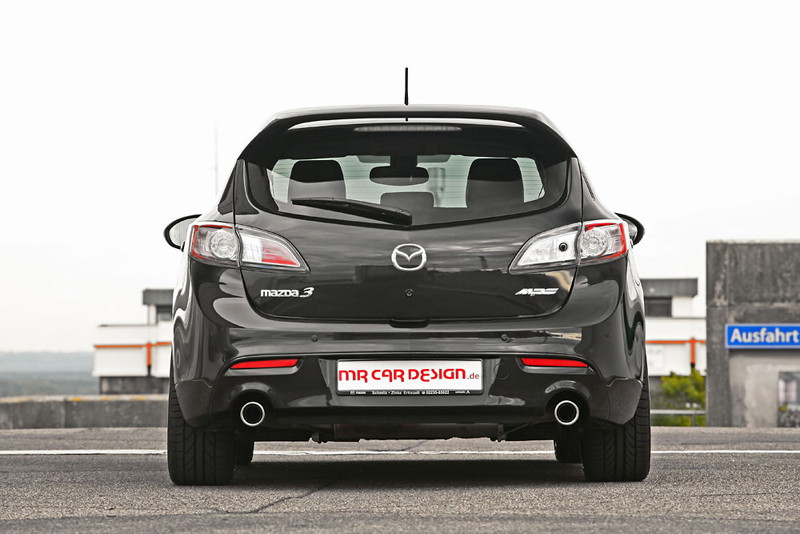 Not much has been done by MR Car Design for the exterior in the Mazda MPS tuning program. 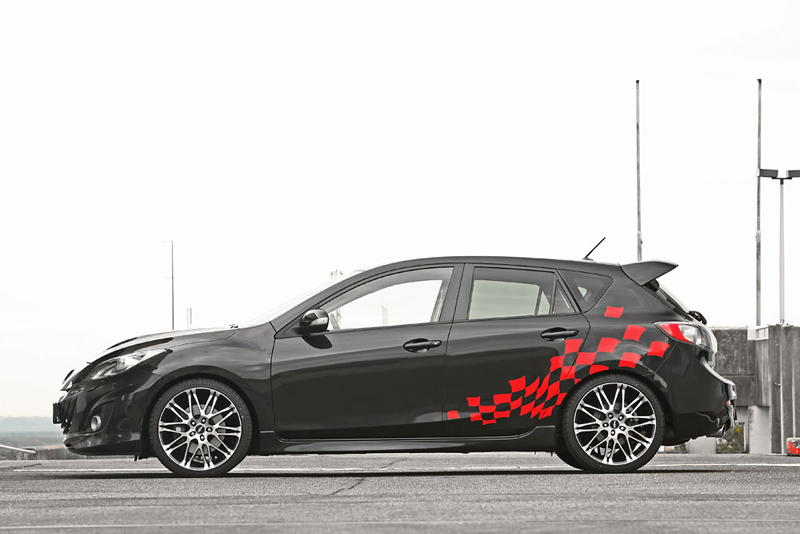 The lone upgrade is a new red checkered graphic that is featured on the rear fender and D-pillar. The entire set of upgrades and modifications for the Mazda MPS is currently available from MR Car Design in the European market. The software optimization program is priced at 699 Euros, while the rest of the upgrades have not been given pricing. 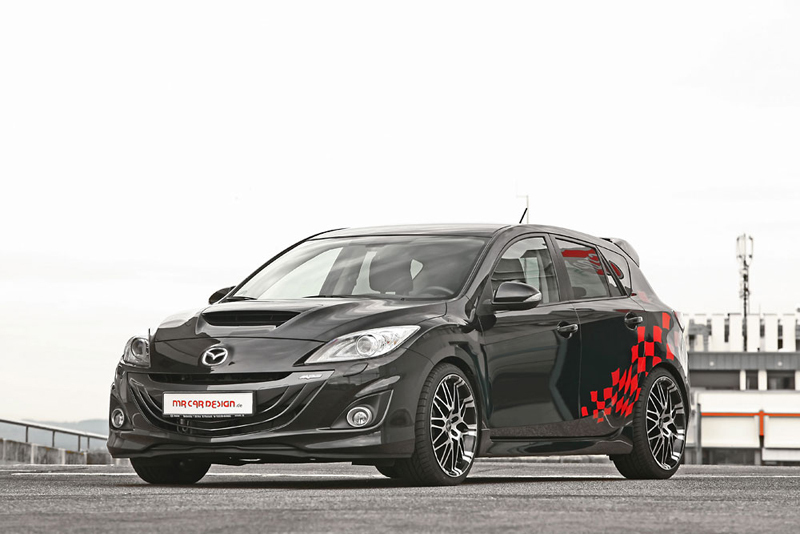 Do you think the Mazda MPS is a hotter hatch after the MR Car Design treatment? Leave a comment and let us know! Here’s Two more Show-Off Idiots from the Weekend!